Saoirse Ronan, Emory Cohen, Domhnall Gleeson et al. DVD: 107 min., Blu-ray: 112 min. Eilis (Saoirse Ronan) moves from small town Ireland to Brooklyn, where she has the opportunity for work, for a future - and love, in the form of Italian-American, Tony (Emory Cohen). When a family tragedy forces her to return to Ireland, she finds herself drawn back into the life she left behind. As a secret threatens to reveal itself Eilis has to confront a terrible dilemma - a heart-breaking choice between two men and two countries. Okay, let's get it out front. I don't like action films, or superheroes, or car chases, or amazing special effects. I like films that quietly illuminate the depths of people's lives. Nothing much needs to happen other than that you follow the developments and contradictions in the lives of characters you can really care about...that something in the film tells you a little bit about the struggles in your own life. If that's what you like, too, then I'm pretty sure you'll love this film. I don't give many films five stars. 'Nuff said. Excellent film. Fine acting all round. Deserved a better exposure - I ahd not heard of it and took a chance. Nice Nick Hornby screenplay. Not lavish, unlike the overhyped La La Land, but a much more pleasing experience. 1950s location spot-on. I hadn't heard of this movie so took a chance - I'm so glad I did. 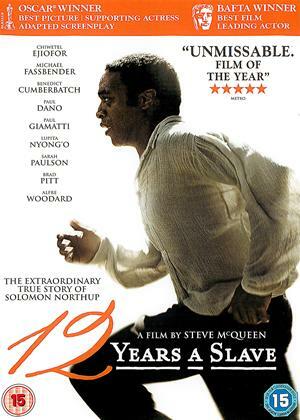 Exquisite acting, beautiful cinematography and a gentle but entertaining plot. Just delightful. 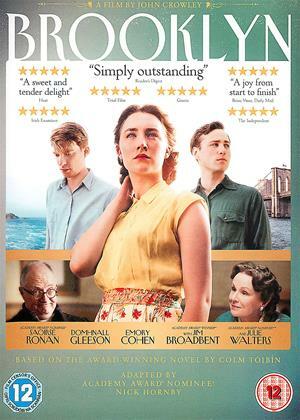 Teenager Saoirse Ronan moves from working in a shop in Ireland to working in a shop in New York in the 1950s while rooming in a boarding house run by Julie Walters. Still want to see it? After half an hour she meets Emory Cohen and their relationship develops. I could go on. The film certainly does, and the trailer will tell you all of it much more succinctly. Shot like a TV talkie by ex-theatre director John Crowley, it’s completely unmemorable both in content and style. through it with no problems. Had another 2 crafty viewings on my own before I sent it back as enjoyed it so much. A must watch. No computer graphics, no exploding livers, yet can sit and watch all the way through without loss of concentration on what is going on. Used to be called "acting in films". Combine film with Canada etc, which always seems to work well. Not a multi million dollar budget i suspect. Must really annoy Spielberg and Brad etc. The trailers had lead me to expect a slightly different film to the one I got - and I was much more pleased with it that I expected to be. The ability of Saoires Ronan to act her socks off with the slightest twitch of her face makes this film into an amazing insight into one person's fear, longing and growth into confidence. 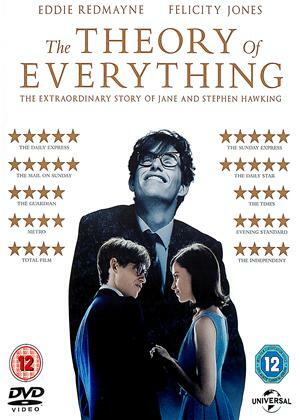 A wonderful, wonderful film which is as beautiful as it is powerful. I thought I'd like this a lot, and had heard good things about the book and the film, but it was a hard slog. Everyone and everything in Ireland and in Brooklyn was terribly clean and well scrubbed, with none of the drear and grime that you would associate with the era. Although they went to the trouble of filming the Brooklyn exteriors in Montreal as Brooklyn looks, apparently, too modern, the brownstones in Montreal look as if they might as well be in Williamsburg, and they might as well have been filmed on a backlot for all the atmosphere they generate. Add a boring, linear and predictable plot plus the most irrational behaviour from the lead character and throw in a one-in-a-million coincidence "twist" before winding it up with those deadly cinematic devices all in a row: slow-motion reunion, patronising voice-over and freeze frame. It's a hard, if not impossible film to warm to, just a series of cliches and soap operatics as well as cloying Oirishness, to be sure. You don't have think too hard to know what kind of role Julie Walters plays, and Jim Broadbent appears as Barry Fitzgerald. A major disappointment and a waste of time. A slight but engaging tale of a young woman's escape from a claustrophobic provincial existence in 1950s Ireland to the exciting possibilities of big-city life in New York. Saoirse Ronan is the beautiful, fresh-faced ingénue torn between lovers poor and rich, as well as loyalty to her past, whose mind is finally made up by the stifling bigotry and wagging tongues of Irish country life. It's a story full of charm. I didn't have the chance to see this at the cinema so was really looking forward to it. I wasn't disappointed. The characters were strong and Saoirse Ronan was brilliant. I would definitely recommend this. 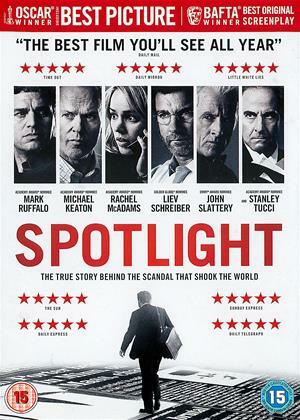 OK, so this is not a bad film - per se. 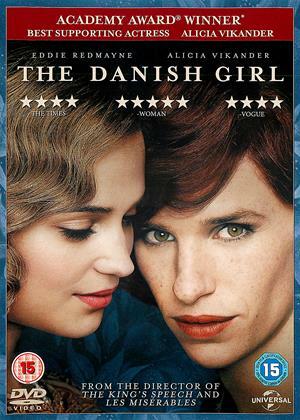 Based on a novel, with a screenplay by Nick Hornby (he no doubt liked the cheque), and some well-known actors (Jim Broadbent, Julie Walters...), it's watchable enough. But it's really just a Oirish Mills and Boon affair, made to appeal to the American market. And my, how clean everyone was back in 1950/51/52. Even the tramps look freshly scrubbed with lovely teeth! The best bits of this film are the comic vignettes - especially Julie Walters as the boarding house owner, keeping her spiteful, dizzy Irish girls in check. Jim Broadbent does Jim Broadbent, playing a Catholic priest - and these days, it's unusual to see such a character in a film who isn't accused of molesting choirboys! So that was different. But really, this is just a silly Oirish soap opera melodrama for women to weep at - and cynically made for the American Irish market. How about looking at English or Welsh immigrants to the USA for a change eh? Or Gernans or Swedes. I get so sick of all the Oirish plastic paddy piffle. A pleasant enough film but rather lacking in any story line. People have described it as too clean, and indeed the plot itself is too clean. Everyone is pleasant and understanding. Everyone is honest. Nothing bad really happens, or even nearly happens. There are no clever twists or surprises. All very two dimensional. It's really rather dull. I like another reviewer had never heard about this film but I enjoyed it very much. I would thoroughly recommend it. An engrossing tale of an Irish immigrant and the pull of her home country. capturing well the hustle and bustle of cosmopoltan New York and the comparative confines of small town Ireland. Yes, not much action as some have noted, (and I have critised some films recently for this) but in this case, there is plenty to think about and engage you in terms of the dilemmas faced along the way, Beautifully controlled acting with great cinematography and sets/ costume faithful to the era. Brooklyn is beautifully acted and filmed, but has ponderous pacing, and is just a bit dull. The plot follows an Irish girl emigrating to the USA and making a life for herself in New York. To describe the plot further would spoil the movie, because there really isn't very much more plot to describe. I can see why this film would resonate with an Irish or Irish-American audience since it deals with Irish emigrant experience, but others may find themselves dozing off. Seen at the cinema. 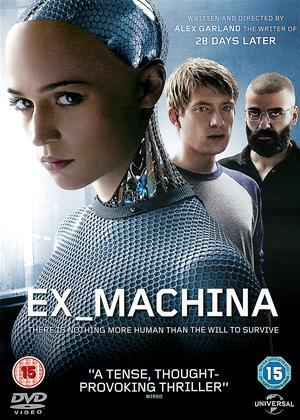 Although it is well crafted, I found the movie to be plain, tedious and ultimately depressing. It may be that I can relate the scenario to a period in my own life. Julie Walters just plays Julie Walters. I am not a fan. This is a beautifully crafted and emotionally engaging film for the most part, helped by a very good script from Nick Hornby and a cracking central performance by Saoirse Ronan. I thought the first half particularly good at documenting the immigrant experience. However, a weaker second half, the result of the main character not revealing even to her own mother something that in real life she would have done in an instant, spoiled my enjoyment considerably, and left me feeling rather ambivalent overall. What was the point of it all? So, worth a look, yes, but ultimately a fleeting half-pleasure that promised much but did not quite deliver.